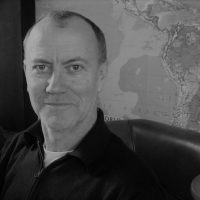 Dr Ray Cunningham is a freelance consultant, translator and writer on British-German knowledge exchange. He is the Coordinator of the UK think tank Green House, and in that capacity he is also the Coordinator of the GEF transnational project ‘The potential impact of Brexit on the prospects for a green transition in Europe’. One year on from the Brexit vote, Britain's new role in the world, and in Europe, is taking shape - what will it look like?